Morn and Ferengi may report here. 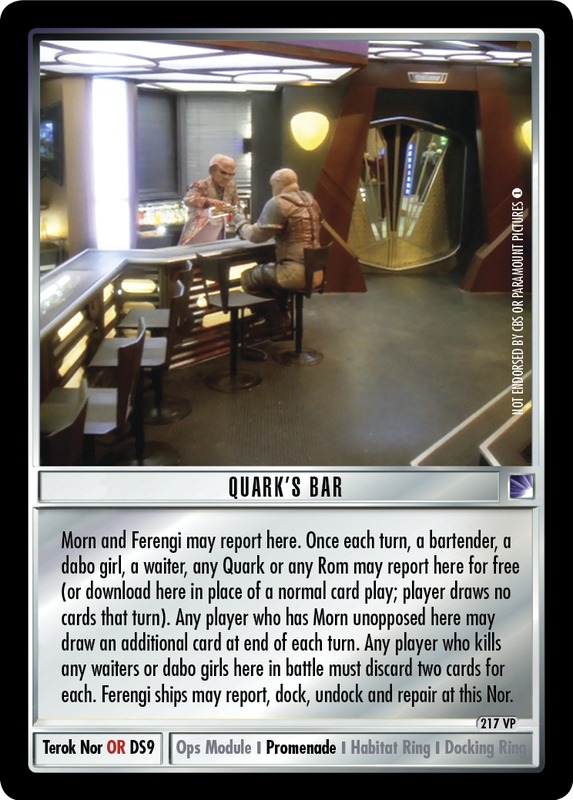 Once each turn, a bartender, a dabo girl, a waiter, any Quark or any Rom may report here for free (or download here in place of a normal card play; player draws no cards that turn). 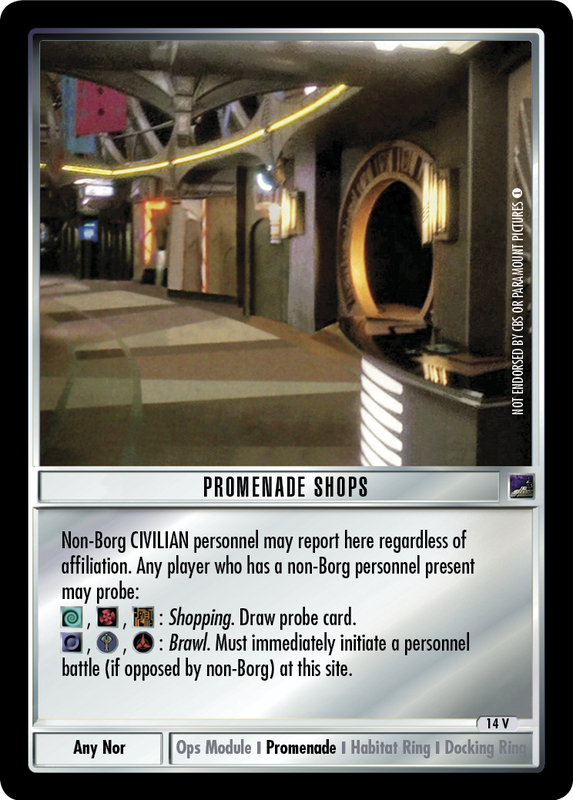 Any player who has Morn unopposed here may draw an additional card at end of each turn. 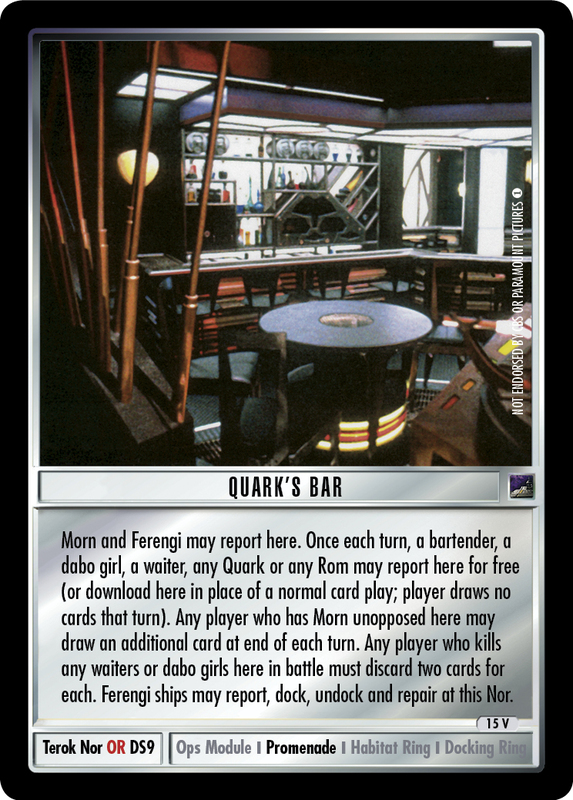 Any player who kills any waiters or dabo girls here in battle must discard two cards for each. 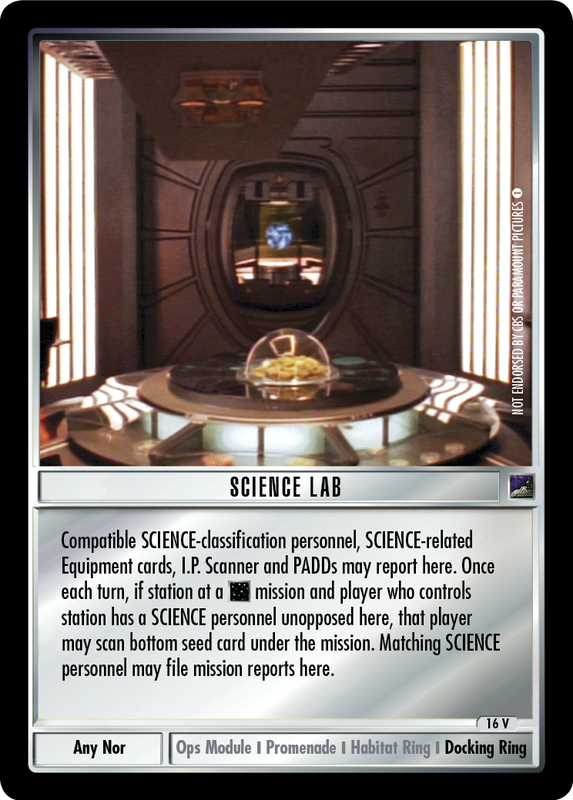 Ferengi ships may report, dock, undock and repair at this Nor.